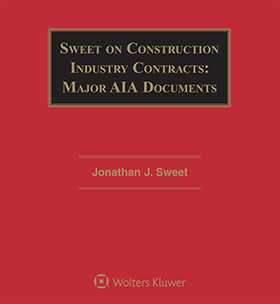 Sweet on Construction Industry Contracts: Major AIA Documents is the essential reference for every attorney representing owners, contractors, and architects. No other publication delivers this expert analysis of the AIA documents. Should You Use an AIA Document?